There is nothing more satisfying on a cold day than a warm bowl of porridge. It makes me feel like I can brave the cold weather... at least until I step outside! 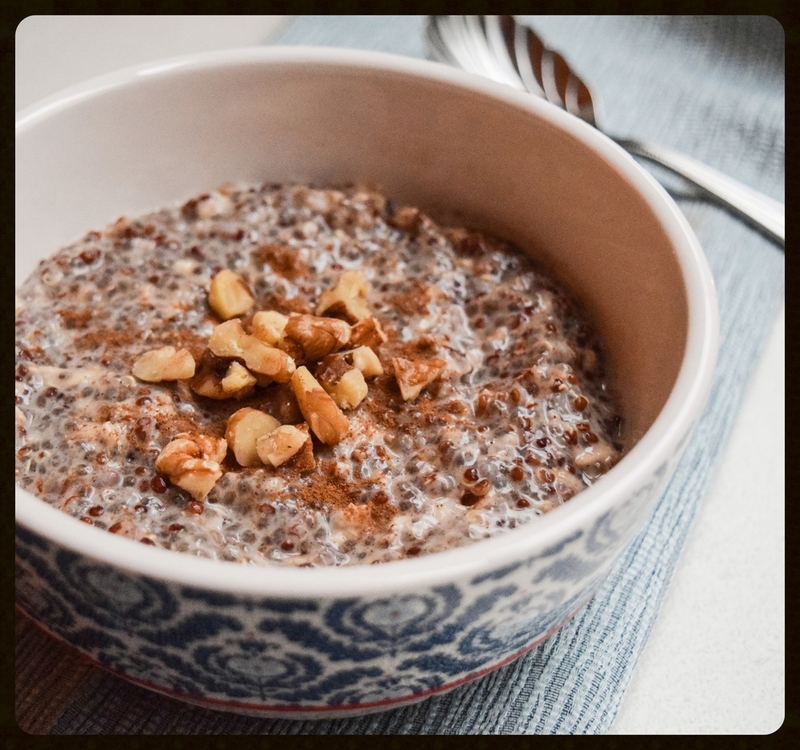 This Chai Quinoa porridge has been my go-to breakfast for the past few weeks! If you're interested in learning a bit more about the health benefits of quinoa, check out this article from Health and Fitness Shop. In this dish, I've combined of some of my favorite super grains in almond milk to create a creamy blend with just a little crunch. The chai seasoning is so warm and delicious, it is the perfect compliment to the nutty flavor of the grains. This breakfast seems to warm my belly as I eat. I seriously can't get enough of this dish! Place quinoa in 1 cup of water and bring to a boil. Reduce to a simmer, cover and cook for about 15 minutes or until the water is absorbed. Add the oats, spices, honey and 1 cup of almond milk to the quinoa, gently mix until combined. Bring to a boil then reduce to a simmer for about 5-10 minutes or until the liquid has absorbed. 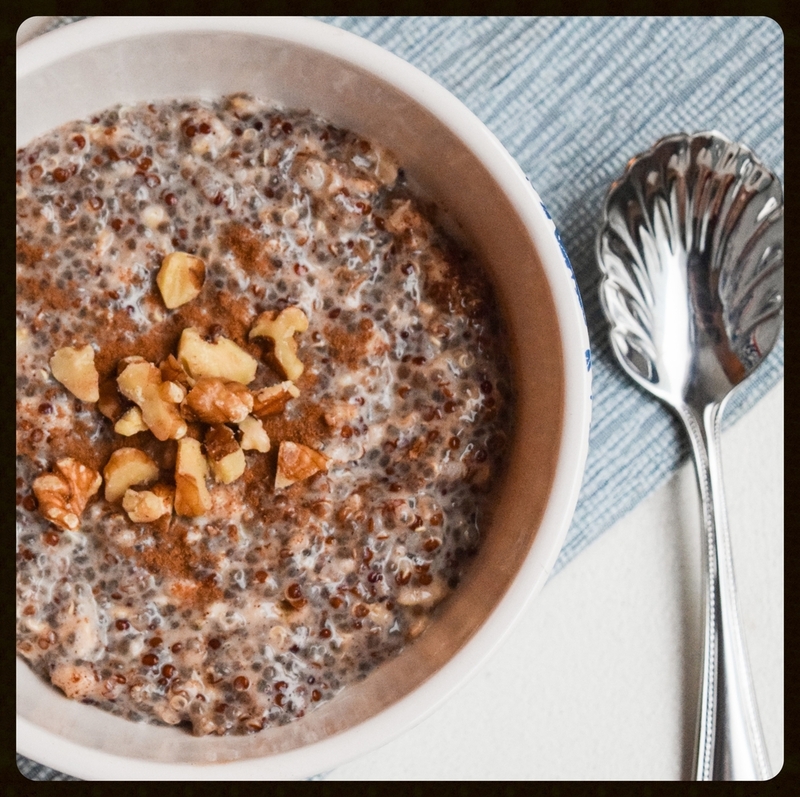 Add the chia seeds and another ½ - 1 cup of almond milk depending on desired consistency. Allow to simmer for another 5 minutes. Remove from the heat and allow to stand for 15 minutes.